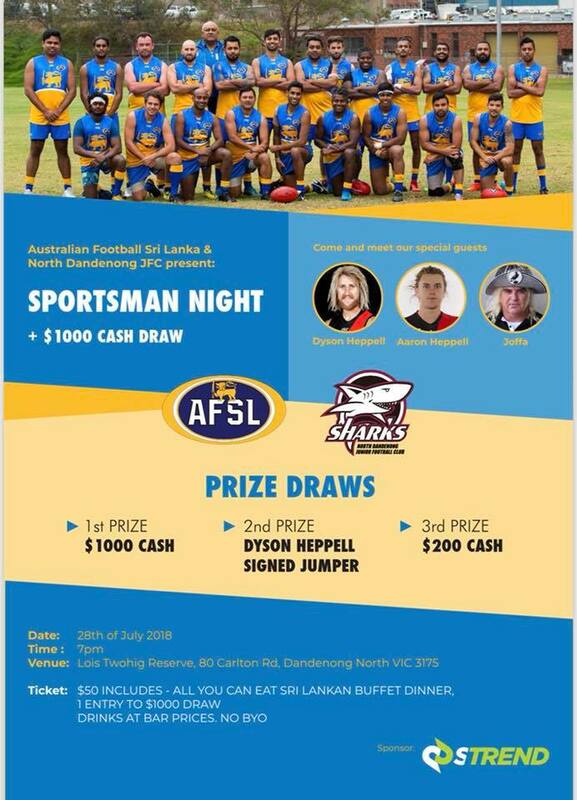 Australian Football Sri Lanka and North Dandenong Junior football club presents Sportsman Night + $1000 draw to raise funds to develop football in Sri Lanka. 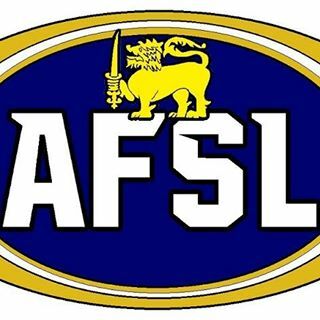 Australian Football Sri Lanka Inc. is committed to growing AFL within the Sri Lankan community, both in Melbourne and abroad. Featuring guests Dyson Heppell, Aaron Heppell and Joffa. Tickets are $50 including an all you can eat Sri Lankan buffet.